At JB&B Leach Estate Agents we understand your home is personal to you, as is the eventual buyer. We take great pride in discussing tips and making useful suggestions to promote your property effectively ensuring it stands out in its category. Taking into account seasonal factors and the current market trends and conditions are essential when getting ready to sell. We do this, and we do it well and being tailor made just for you is guaranteed. Our eye catching For Sale board is a must for maximum exposure. When selling, don't be the best kept secret in town, having the board is essential, we love ours and know you will too. Expose your home online to the maximum, available 24/7. 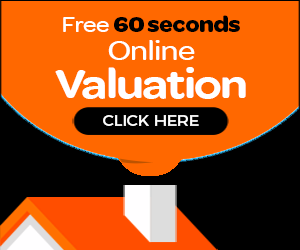 In addition to our site we advertise on the UK's number one website Rightmove along with On the market for independent agencies. At JB&B Leach we strongly believe presentation is very much key, as part of our marketing strategy we offer advice, suggestions and home staging information with little touches included from our home hamper if required. It's all about extra attention, we love what we do! Professional photography is included with lifestyle and feature shots where appropriate. Editing and careful lighting is added to encompass the very best bits of your property. We endeavour to ensure your home stands out from the competition. Whilst essential when running a home, rubbish receptacles are unsightly, smelly and interfere with the important kerb appeal. We will always move if necessary for photography, re siting them in a garage or out of viewers eye line is a tip worth noting. Always a point worth remembering as the quality of the external photograph is critical when selling. A clear driveway exposes your property effectively - buyers don't need to see your vehicles, if no driveway available then every effort will be made to photograph without parked cars.